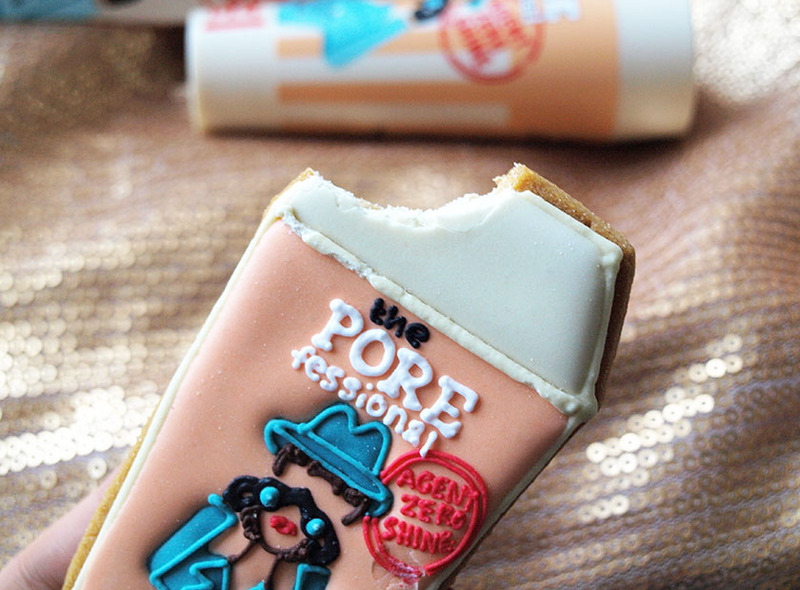 I am a big fan of the Benefit Porefessional Primer and it is the only primer I always repurchase, so imagine my excitement when the new Porefessional Agent Zero Shine Powder landed on my doorstep... I might have squealed a bit... Yeah, I did :) It arrived in great company too - with a twin in a form of a delicious biscuit from Biscuiteers. They make best biscuits by the way! Back to the Agent Zero Shine Powder - how cool is the packaging? As much as I love elegant and luxury designs, I adore the look of all Benefit products and I will never get sick of them. Add a cool name to it and I am sold! The packaging is described as an all-in-one powder brush dispenser and as you can see, it looks like a perfect little thing for those who do their makeup on the go. You simply take the cap off, unlock the powder and put a little bit of it in the cap. The brush twists off as well and it is retractable so you can easily put it back without damaging the bristles. Clever! It couldn't be easier. The powder looks very natural on the skin and it was designed to suit most skin tones, without masking your complexion. It is nearly invisible and gives a lovely, long lasting matte finish. My t-zone gets oily mid-day and with Agent Zero Shine, I only needed a quick touch-up to keep it shine free all day. 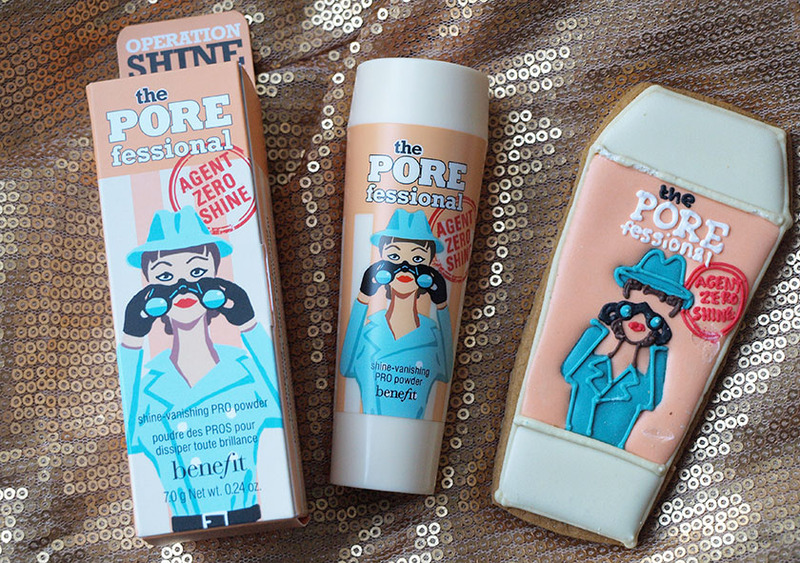 If you combine the Agent Zero Shine Powder with the Porefessional Primer, you will be amazed with the results. The size of my pores was visibly reduced with this combo and there was absolutely no sign of shine for over 8 hours. You can see the photo of my nose and the area around it a couple of hours after using both Porefessional products. I am impressed! 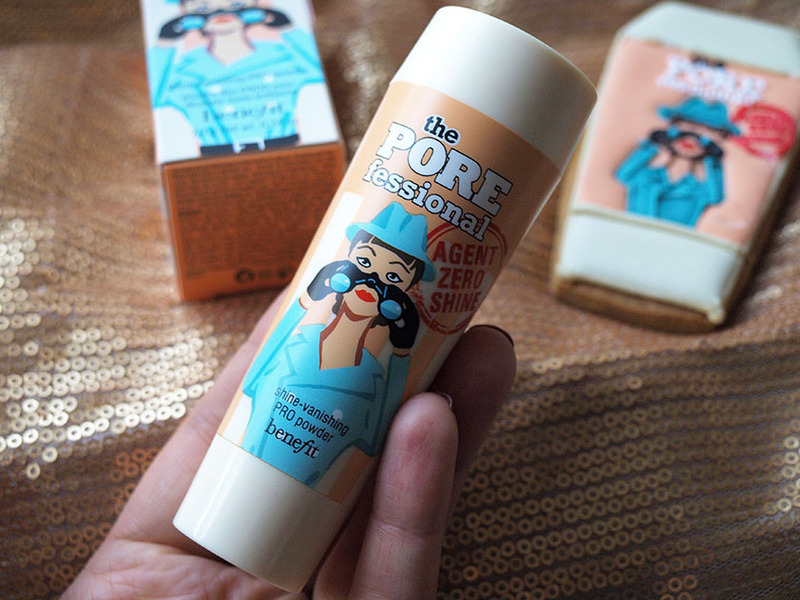 Overall, I am absolutely in love with the new Benefit Porefessional Agent Zero Shine Powder and I would definitely recommend it to those who need shine control and like to keep their complexion matte. I am currently all about more dewy and luminous look, but I have been using the Porefessional Powder on my T-zone and I love, love, love it!!! 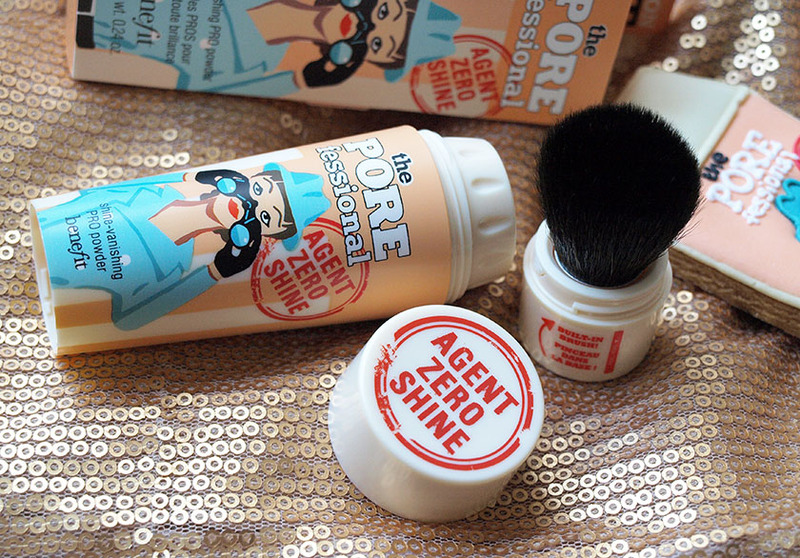 Agent Zero Shine is not available yet, but it launches on the 26th of December in the UK!